You are at:Home»Tech»Reviews»Critics say that these are the best games ever! Everyone that plays video games has a favourite, one that they keep on coming back to. For a colleague of mine, based on the amount of time he spent playing it and the enjoyment he gets out of playing it, is 2014’s Grand Theft Auto V. He rates it an 8.5/10 but according to Metacritic, it’s more like an 8.3/10. According to the critics, the best game ever made is The Legend of Zelda: Ocarina of Time. The N64 game was released in 1998 and with its almost unbeatable average score of 99/100, it’s going to take something very special indeed to topple it. Of course, in the age of the internet there are a lot more reviews written for games, increasing the likelihood of a rogue low score or two bringing down the average. But not many would disagree with how excellent the game was and is. 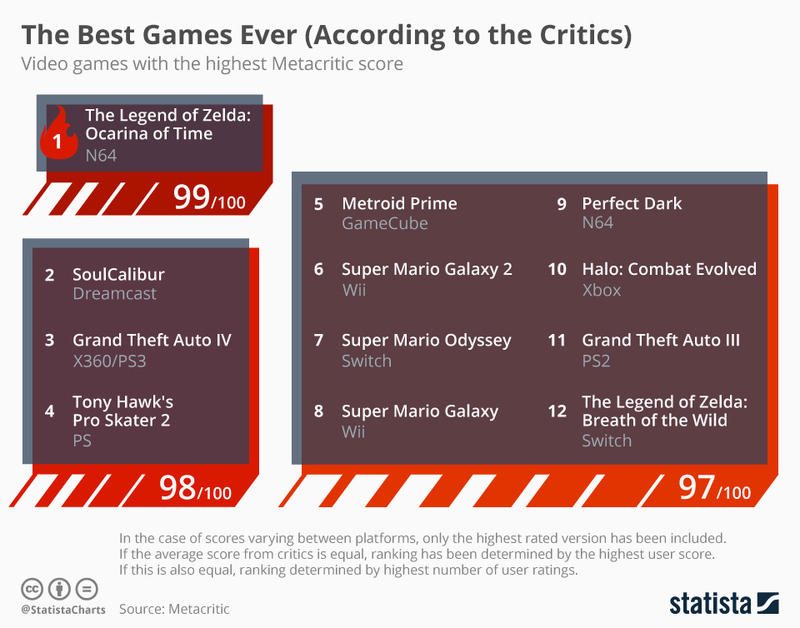 In fact, while the score of 99 is only based on 22 critic reviews (compared to The Legend of Zelda: Breath of the Wild’s 108), 3,850 user ratings still result in a 9.2/10 average. 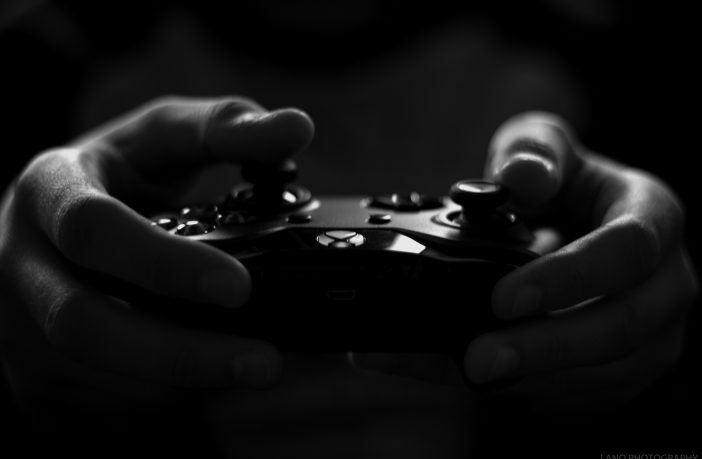 Unsurprisingly, gamers often disagree with critics. Nowhere on this top ten list is that more pronounced than with Tony Hawk’s Pro Skater 2 on Playstation. A critic score of 98/100 compares with a distinctly average 7.4/10 from users. When looking at the best games of all time from a gamer’s perspective, there is a five-way tie for the accolade between Resident Evil 4, Harvest Moon, Shenmue II Metal Gear Solid and Castlevania: Symphony of the Night. Find your new favourite game on PriceCheck.